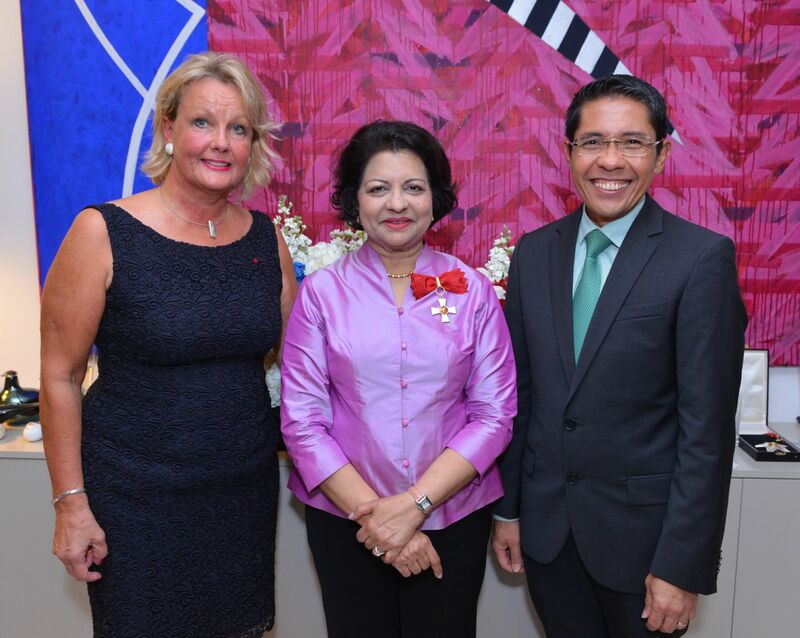 It was an intimate gathering of friends, distinguished diplomats and senior public service officers at the Finnish ambassador’s residence where non-resident ambassador of Singapore to Finland, Jaya Mohideen, was awarded The Commander First Class of the Order of the Lion of Finland—an honour conferred onto her by the president of Finland Sauli Niinisto for her work in strengthening diplomatic ties between the two republics. She is the second Singaporean to receive this honour (the first being ambassador-at-large, Tommy Koh). Also present was guest of honour, Dr Mohd Maliki Bin Osman, senior minister of state for the Ministry of Foreign Affairs and Ministry of Defence. Although the evening’s proceedings were ceremonious, the general mood was light and celebratory, and the dinner spread of authentic Finnish food made an already significant event even more special.